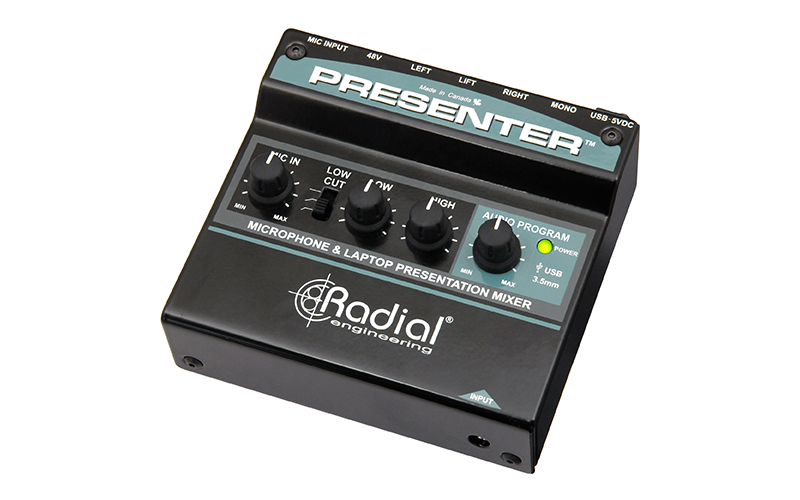 Radial Engineering Ltd. is pleased to announce the Presenter™ is now shipping. 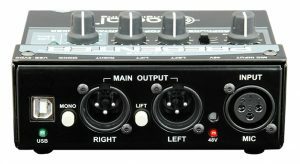 Both the microphone and the playback signals are mixed to stereo XLR balanced outputs, which can be connected directly to a PA system or a pair of powered speakers. 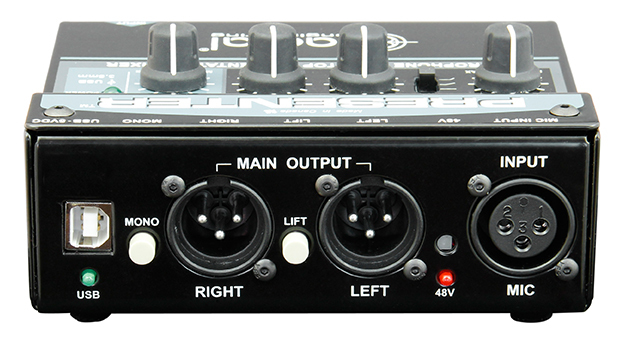 A mono switch is provided if only one speaker is needed, and a ground lift ensures that the output signal is clean and free of buzz or hum from ground loops. The rear panel of the Presenter. The Presenter’s compact size allows it to easily fit on a desktop or podium, and it includes a port for a Kensington lock to secure it for permanent installations. As an added benefit, the Presenter can also be used as a USB recording interface, so speeches or lectures can be recorded for later use.